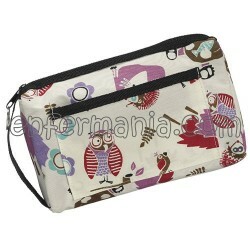 Carrying case multi-purpose made of nylon, with fun prints. An economical way to store and safely transport your sphygmomanometer or your fonendo. Ideal also for your small instruments, or for personal use in your locker. Includes a side pocket with a strong velcro closure, carry handle and water resistant coating.